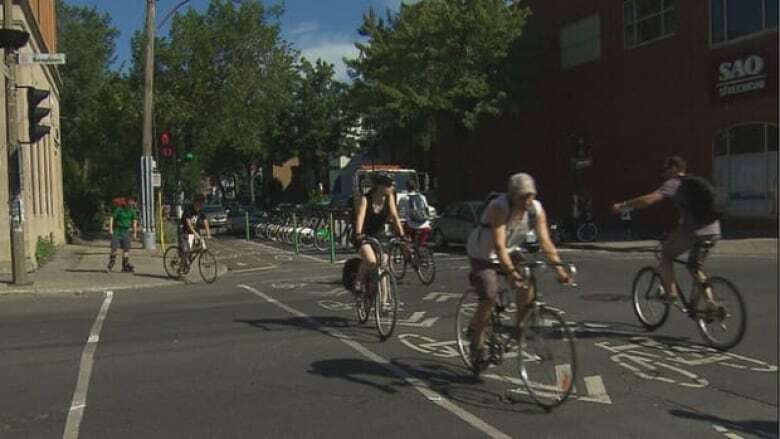 Too much responsibility is being placed on cyclists and drivers for bicycle accidents, according to a bike safety expert with Montreal's public health agency. Statistics may show the number of collisions down in spite of increased popularity of cycling. Even so, accidents do happen. Earlier this week, a 55-year-old cyclist was critically injured on Parc Avenue after she veered into the path of a bus while trying to avoid an opened car door. There are ways to prevent such accidents, said Dr. Patrick Morency, bike safety expert with Montreal's public health agency. One of the major issues is that the city's infrastructure is ill-suited to the growing number of bicycles on the roads, he said. "If you're asking me who can improve the burden of road injuries in Montreal, who has the power to reduce the number of injured cyclists in Montreal [...] it's those who make the environment," Morency said. He argued the city could be much safer for both cyclists and pedestrians. He’s been tracking cycling injuries for Montreal’s public health authority for 10 years, and he said wearing helmets and observing the rules of the road can only go so far to protect cyclists. He said the city has the power to reduce the number of cycling injuries through improving infrastructure. "It's not that I don't want to make cyclists and pedestrians responsible, it's just that if you want to improve safety for them, it's not through education that you're going to succeed — it's through a better environment, through road environment, to better crosswalks, cycle tracks and bike paths," Morency said. Vélo Québec vice-president Jean-François Pronovost agreed. He said a lot of accidents are due to overuse; that is, too many cyclists on too few bike paths. Pronovost says the city is having trouble keeping up. "The city does some work, some great work, in improving some parts of the city, but it doesn't go at the speed of the growing demand of people using their bikes," he said.